Tim Holtz Idea-ology WIRE PINS TH93011 at Simon Says STAMP! TH93011 This item is on reserve until If you would like to reserve this item now, you may purchase it now with the rest of your order. We will hold your order now and ship your entire order as soon as this item is back into stock. If you would like your order to ship now, please place this item on a separate order. 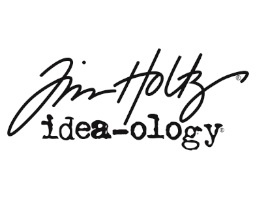 Success, Tim Holtz Idea-ology WIRE PINS TH93011 has been shared! 6 pins in nickel, 6 pins in brass and 6 pins in copper for a total of 18 wire pins. Each pin measures approximately 0.25 x 1 inch. Next up are a blast from the past since Tim actually had these in a line he did long ago and missed them so much he had to bring them back. Wire pins are so functional since you can pin them through layers of stuff and have plenty of room to attach lots of findings and trinkets to them - welcome back.